We are gearing up for spring with a new selection of manufactured stone from Selkirk Stone. 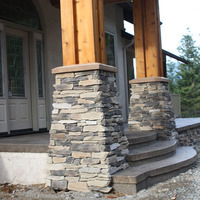 Selkirk Stone is a family owned business which opened its doors in Sandpoint ID in 2008. Realizing a need for a local manufacturer to combat long lead times and provide more personalized service, they began producing their lineup of veneer products. 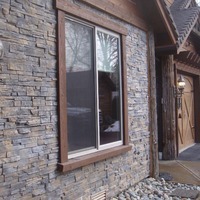 Selkirk Stone's manufactured stone veneers have a unique design and are handcrafted to capture the look, feel and texture of natural stone. All products have been tested for strength and durability, and only the highest quality raw materials are used in the production process. Selkirk Stone is lightweight and installer friendly. With over 40 combinations of styles and colors, Selkirk Stone is sure to offer you a product to enhance and beautify your home or outdoor living space. From commercial to residential, interior to exterior, let Selkirk Stone help you achieve a look that is sure to inspire strength, warmth, elegance, and durability.